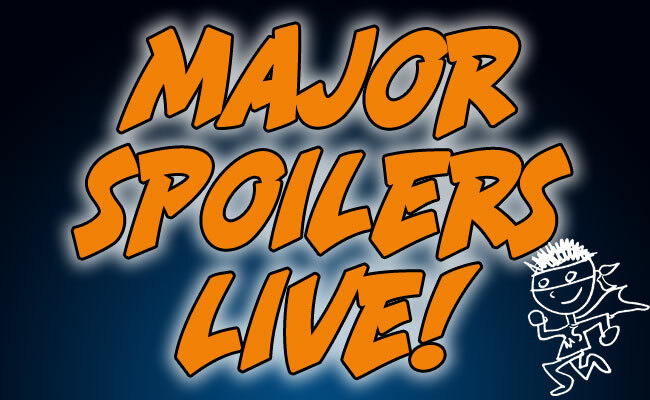 We’re making a change to the Major Spoilers Podcast this week. Instead of a regular show, we will be doing a live show, featuring your call ins! DC Comics has released the complete solicitations for September that features all of the new issues coming from the company. Here is your chance to call in and talk with us about the changes. We’ll also have other topics for discussion, as well as an open line time that you can call in to talk about anything and everything. What a great way to end my work week. I hope and pray it’s quite so I can call in. I have many things to ramble. About. Oh, it’s 8:30 CST and 9:30 EST right? BAH! Damn this time zone difference! I will be tightly tucked up in bed fast asleep (I hope) when this is on, GOD DAMMIT! Have a good show anyways guys and if you can, try and make the next show amenable to us further a field (UK for me). Gentleman, I have a great desire to talk to you about this since I was the one that brought up this topic on you #300 show. Excellent show idea. Here’s hoping I can finish my workout in time to call in. What’s the estimated show length for tonight? Ugh. I hate the call in shows. Oh well. Why do you hate the call in shows? The podcast is now available, but be careful with the fast forwarding, you may miss a few tidbits of awesome-sauce. I love the live shows! Especially catching them live, not so much when I miss them by like an hour. The only bad thing about the last one was that the very end was so damn funny and it didn’t get recorded to the archived version, but that’s the reason to listen to the live show while it’s going live. The time difference confused me will it be able to stream to my Iphone with the app?